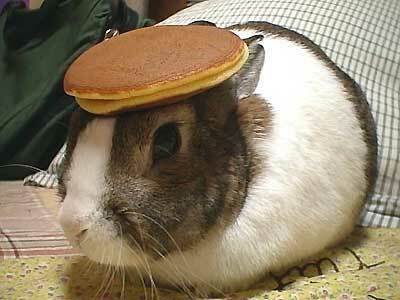 Yep, that's a rabbit with a pancake on its head. We need two controller actions, first the create action get and post for the rabbit itself and then the partial view action for a pancake. I'm using the session for persistence here because I'm exceedingly lazy. The change we've made is where the comment excitably declares PANCAKES!. We add a div <div id="pancake-group"> as an update target for our Ajax. This simply calls the _CreateFields action on our Pancake controller. It passes the index to add as a route value. Also notice the @index set near the top of the view code! 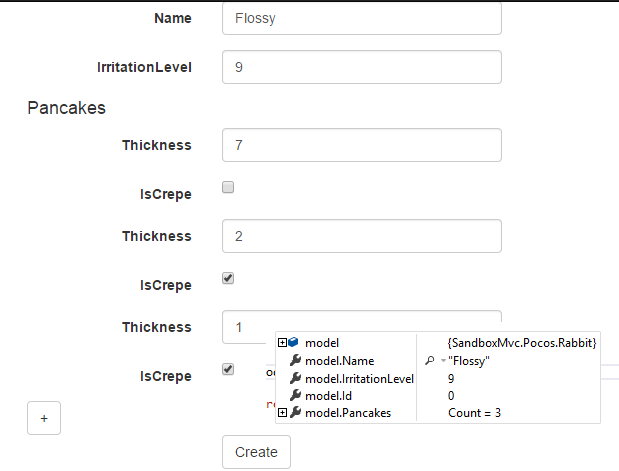 Compile this and run it and you should be able to create all the pancakes you want on your rabbit. When you have to use server side validation of your model, your sub items will disappear on validation if the validation fails. This tutorial showed how to add a list of models to the create for of another model and have that list submitted on post in addition to server side validation.